The Nebraska Tourism Commission, looking to spread word of its state’s wonders, is doing so through an unusual hook: a slogan that declares, “Honestly, It’s Not for Everyone.” Like any good tourism board, the state wants to put that slogan (and others) on various promotional products, and will soon get the go-ahead to do so—but not without the State Legislature’s 40-0 vote on a resolution to allow the merchandise’s creation, followed by two more rounds of voting and a signature from the governor. We learned of this brilliant take on self-deprecation in October and patiently waited to see what local leaders would do with the creative jab at perceptions that Nebraska is dull. The work of legislative Sen. John Stinner, the bill would strive to reveal what he and his peers have long known—Nebraska is worth a very close inspection and end-users’ hard-earned bucks. The “Honestly, It’s Not for Everyone” component has already drawn a few smiles among us because of its playful nature, and products such as T-shirts and mugs stand to serve as lucrative complements to other advertising pushes to compel people from places such as Denver, Des Moines, Kansas City and Wichita. With all due respect to outdoor signs, printed materials, social media posts and TV commercials, all of which are elements of the tongue-in-cheek concept, promotional items resonate the most with us, for obvious reasons, especially since they can be so far ranging. Nebraska, as evidenced by this 2018 commission report, is not suffering for folks to welcome, but which business spends any time thinking of ways not to increase its brand awareness? Thanks to Stinner, Nebraska’s tourism touters will likely be able to keep themselves from becoming the only answer to that question, as the Beatrice Daily Sun notes that his bill should have no trouble winning favor from state senators and Gov. Pete Ricketts. Nebraska residents could soon be showing their Great Plains/Midwest hospitality to many more visitors. 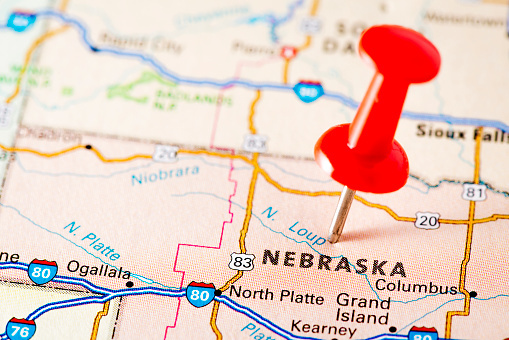 There appears, then, no budgetary clamps standing in the way of Nebraska’s desire to have marketing tokens show off the grin-inducing slogan just in time for the summer. For a state that is already no slouch regarding history and attractions, that acceptance should prove a big boost to the branded merchandise industry at large, especially within the T-shirts category.